These tutorials were written for Vue d'Esprit versions 2, 3 and 4. It's easy to add realistic materials to PlantStudio plant objects in Vue. * Individual layers/objects (one object for each plant part). Follow the directions given for multiple layers/objects, but you will be applying materials to each individual part, not to several parts as one object. * UV mapping. My experiments with this have not worked well. Don't carve your scenes from a solid block of stone. Here's an easy way to break up the continuity. 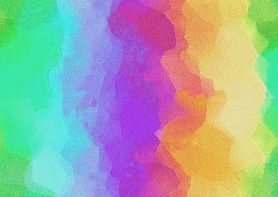 Change an image material's colors without opening a paint program. Vue's native trees are anything but limited. Here are simple ways to increase your arbor "mileage." Pour a glass of water or have water flow from a pipe or faucet. Make a sparkling fountain or let your whale spout off. Create a full waterfall or winter icicles. Shatter glass or break up monoliths and pick up the pieces, too. Explore the hidden side of primitve objects. Get very decorative without maxing out on polygons. For still life or portraits, here are some classic settings used by master painters and photographers. Tint your lighting for realistic shades of color. If you enjoy Vue d'Esprit, you can more conveniently reach all my Vue related areas from here. Varian's Dreamview: DreamDesign Vue Explorations is a portion of Varian's Dreamcatcher and is Copyright ©2004 by Varian.